Continuing in the theme of too busy doing stuff to blog about it, this is a belated announcement of my new literary venture. 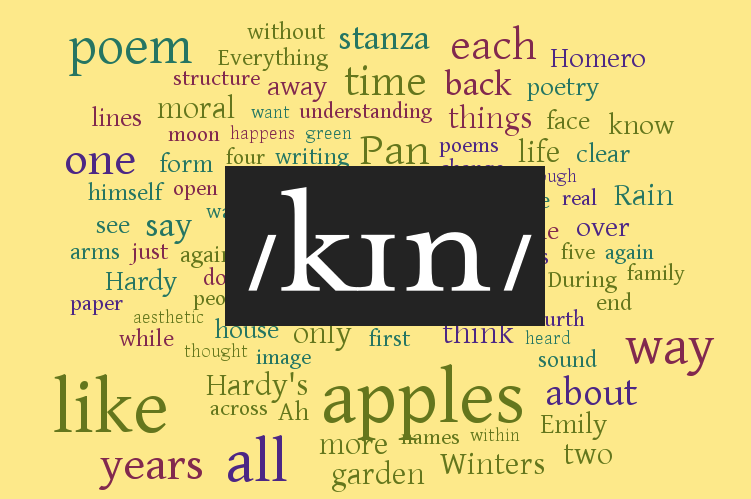 I launched Kin Poetry Journal last month along with fellow founders Wendy Chin-Tanner and Eric Norris, and with plenty of help from Walter Ancarrow. I'm very excited about some of the poets we have coming up, but then again I would say that so it's a good thing there's enough at the journal right now to let the content do the talking.